And here is the rest of the sculpture I showed you yesterday. It's Marilyn Monroe by the well-known Brazilion artist, Marcos Marin. Marcos lives and works in Monaco. Marilyn was an icon and so was this famous pose nice reproduced here by Marcos Marin. 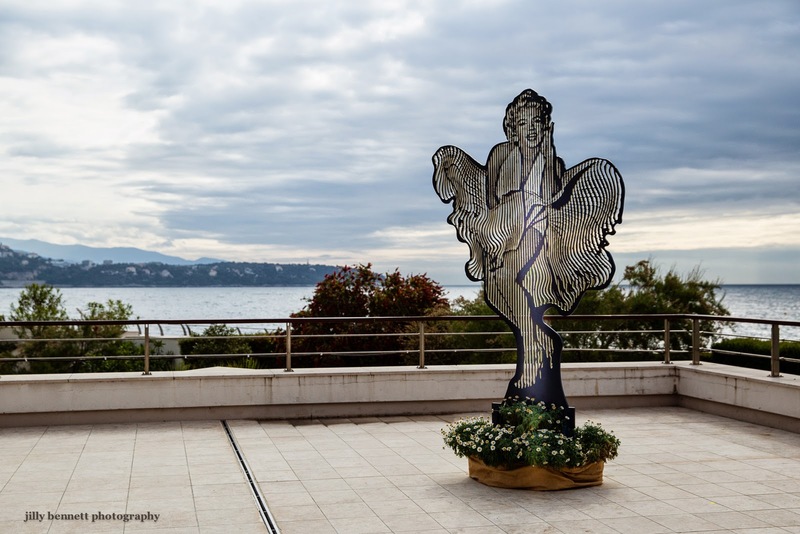 There are similar sculptures in Monaco, for example the head of Prince Rainier in Fontvieille near the circus. In red and white. Is it by the same artist? Love it; what a delightful sculpture.